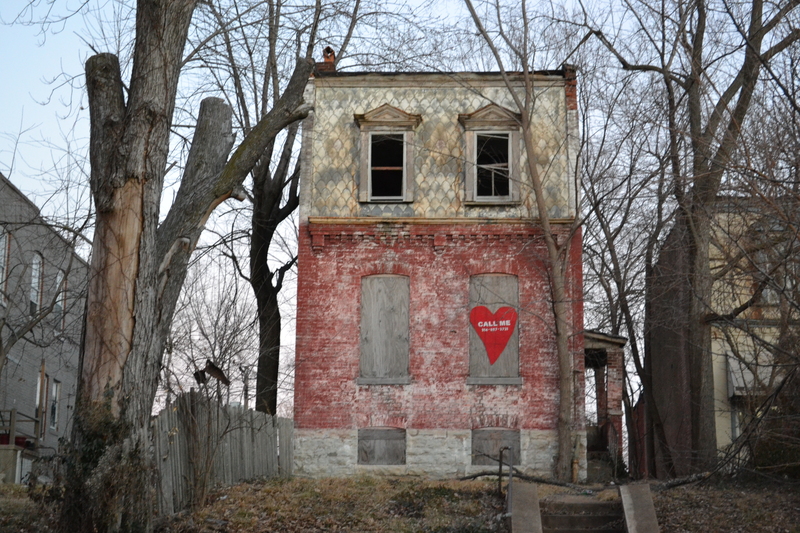 Objective 1: St. Louis participation in the national Preservation Heart Bombs campaign. 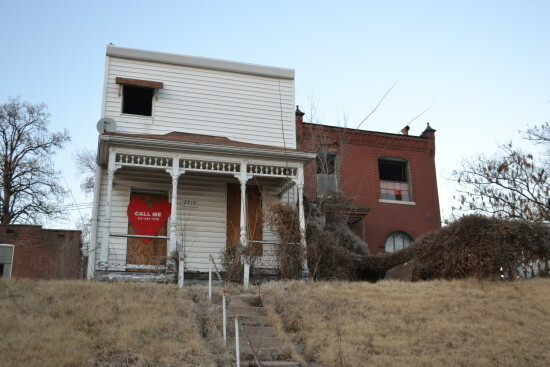 The house at 3740 Iowa Avenue. 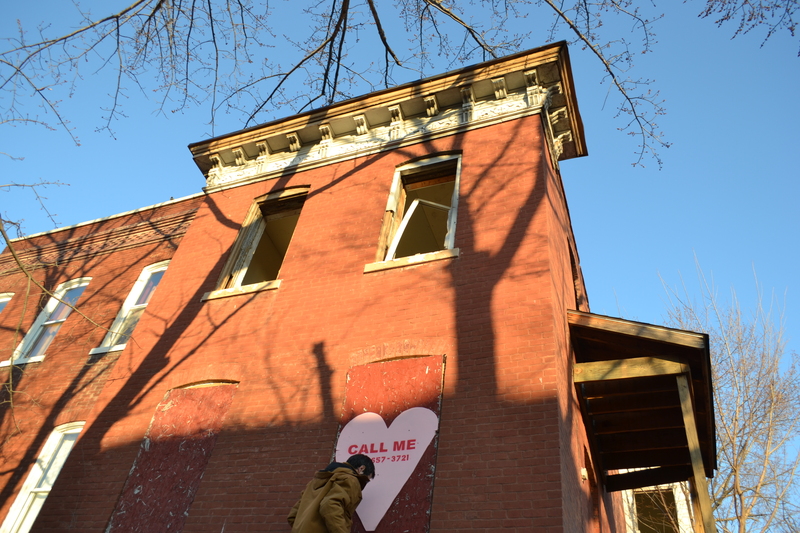 Objective 2: Guerrilla marketing for the vacant historic houses in the Gravois Park neighborhood owned by the city’s Land Reutilization Authority. 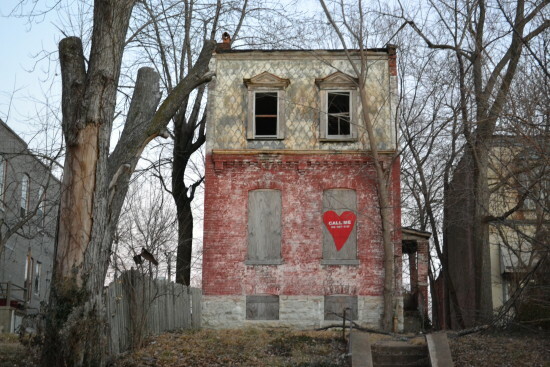 The house at 2819 Winnebago Avenue. Organizers: Michael Allen and Robin Harvey of PRO; Carlie Trosclair; Jason Deem and Cara Spencer of South Side Spaces; Janel, Chanel and Chucky. The house at 3712 Nebraska Avenue. Result: “Candy hearts” marking 28 residential rehabilitation opportunities by Valentine’s Day 2015. Read more here: Valentines for Vacants; Gravois Park Houses to Get Some Love. 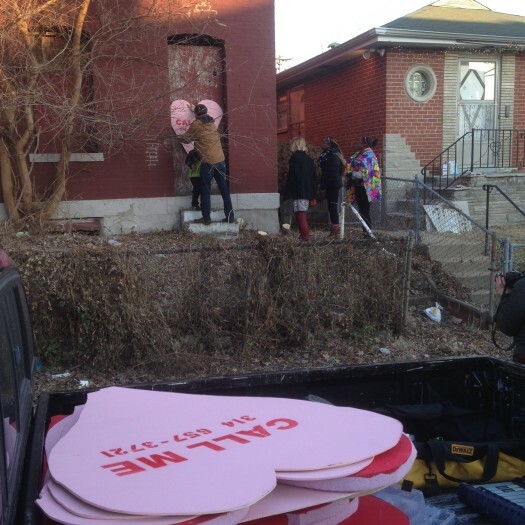 Were there any responses or calls, that you know of, to the Valentines for Vacants initiative on these houses? Is this something that will take place next year, 2016, as well?